As we launch into 2015, I’m delighted to be able to announce that the book formerly known as Set in Stone is done and dusted. After the usual last-minute doubts and shenanigans, I’ve somehow managed to let go and send it out into the world and off to the printer. Who cares about widows and orphans anyway? It’s a perfect fit for the book and I’m quietly thrilled with it. A Single Stone is aimed at ages 9-14-ish and will be out with Walker Books in May. I have no idea how this happened but I now seem to be working on a sequel. 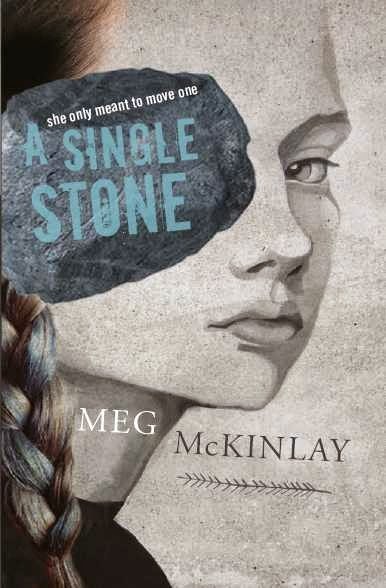 This entry was posted in A Single Stone, Junior Fiction and tagged covers on January 27, 2015 by Meg McKinlay. “Not wedded to this comma”– the editor to my MG told me the comb-through at the very end is all about commas. I certainly needed to divorce some of mine. Great cover! Congrats on finally seeing all your work coming together–isn’t it the best feeling? Thanks, everyone! And sorry for this weirdness.